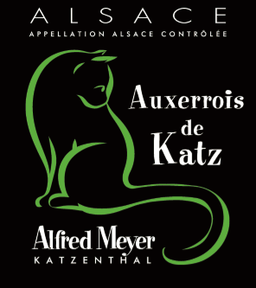 Elixir de Katz 2015 - Site de vinsalfredmeyeren ! 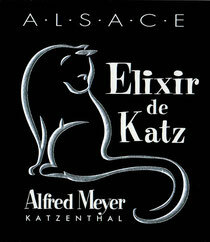 Derived from the alchemy of several noble grape varietals froma the sunny slopes of Katzenthal, a divine potion is created ; full-bodied, exuberant and seductive. Its intense bouquet develops aromas of plums, quinces and pears. This is a must have table wine to pleasantly accompany those very special moments in jour life. 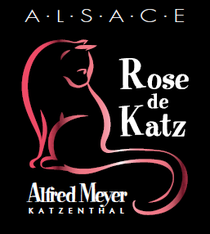 Carefully developed, this vintage from the Pinot Noir varietal of Katzenthal, creates a fruity and gastronomic wine with aromas of small red fruit. It goes perfectly with your grilled and white meats. This is a must have table wine to embellish your evening parties. This is an intense Auxerrois, fruity and warm at the nose. Marked on the palate by ripe grapes, this is both a dry and soft wine. Goes well with white meat or cold cuts.